This handy online tool enables you to forecast calls and contacts on a daily, weekly or monthly basis. We have therefore decided to introduce an online version of the tool. This has a number of advantages over the Excel version. It can be used on weekly or monthly data. We think that it could also be used on daily data, but we don’t yet have enough forecast data to test it. No need to enable macros or to install the Solver Excel Add-in. Uses two different algorithms, which should make it more suitable for a variety of different industries. It’s online so you can easily test it without having to install anything. You can upload a comma separated variable (CSV) file, paste your data into the form, or import some example data. We have developed two different forecasting algorithms based on different statistical modelling techniques. 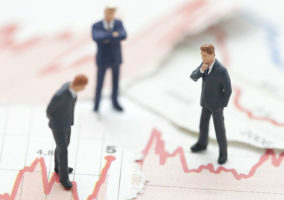 They both examine Level, Trend and Seasonality but use different ways of analysing, training and modelling the outputs. One is called the Jackdaw Algorithm and the other is called the Kestrel Algorithm. We have named the algorithms after birds that are clever, observant and good at spotting small details. In the current phase we require 2 years of data to generate a forecast. We are looking at a new algorithm that can generate a forecast with less data. These experimental algorithms have been tested on a range of data sources, but we are not sure that they will work in all circumstances. Please could you rate the accuracy of the forecast at the bottom of the results page. If you have any problems, please email us through the newsdesk (newsdesk@callcentrehelper.com). There are 3 ways that you can use the forecasting tool. A CSV file is a common way of exchanging data between programs such as Excel and other computer systems. You will first need to format the data into two columns. The data column needs to be whole numbers with no decimal places or commas. Care needs to be taken that a large number such as 33,106 is entered without the commas, e.g. 33106 not 33,106. You can simply cut and paste values from 2 columns in an Excel worksheet and put them into the date box and press submit. We have prepared an example file with 5 years of data that will enable you to test out the tool. After a short delay, you should see the outputs on the second screen. This will produce a graph that looks like this. The blue line shows the data that you have inputted (for example the call volumes). The coloured lines show the generated forecasts for our two algorithms called Jackdaw and Kestrel. Simply select the algorithm that you think generates the best results. We also show below a report that contains the actual data that you submitted as well as the forecast values for the two algorithms. Use of our Forecasting Software is subject to our standard terms and conditions. We have also included a rating section on the second page that allows you to rate the forecast and let us know which forecast generates the most accurate results. 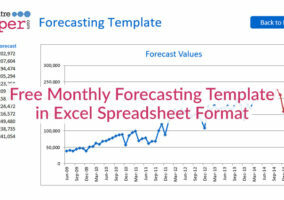 Alternatively you can use our Free Monthly Forecasting Excel Template. If you have any feedback, spot a bug or have ideas on where this tool could be improved, please let us know.